'The windows to the soul require an equally beautiful frame' - NAPOLEON. 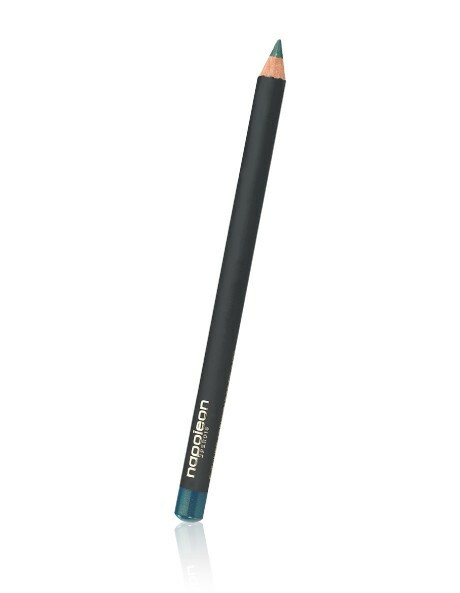 Our Eye Pencils are sophisticated wood-clenched tools that provide excellent coverage and exact lining. With an easy grip handle, each pencil gently outlines the eye with a soft, creamy formula that is easily blendable and available in a tempting variety of kaleidoscopic colours. The lasting formula is free of mineral oil and preservatives and contains natural anti-oxidants for added protection. INGREDIENTS: HYDROGENATED PALM KERNEL GLYCERIDES, HYDROGENATED VEGETABLE OIL, CAPRYLIC/CAPRIC TRIGLYCERIDE, TALC, HYDROGENATED PALM GLYCERIDES, RHUS SUCCEDANEA (CERA) FRUIT WAX, TOCOPHEROL, ASCOBYL PALMITATE. MAY CONTAIN: TITANIUM DIOXIDE (CI 77891), MICA (CI 77019), IRON OXIDES (CI 77491, CI 77492, CI 77499), FERRIC FERROCYANIDE (CI 77510), MANGANESE VIOLET (CI 77742), ULTRAMARINES (CI 77007).